I took the kids to New York City for a few nights recently. New York has a well deserved reputation for being an expensive place to visit. 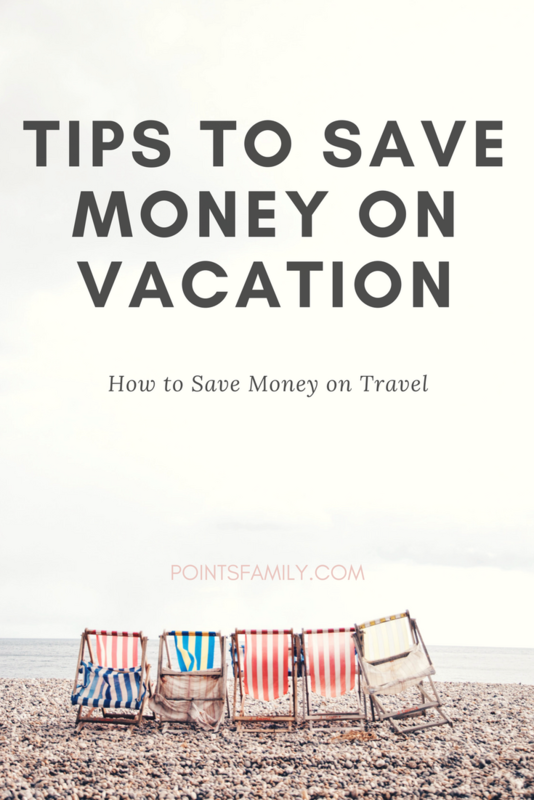 While this is true I found many ways to save on our trip that can be applied to most places. 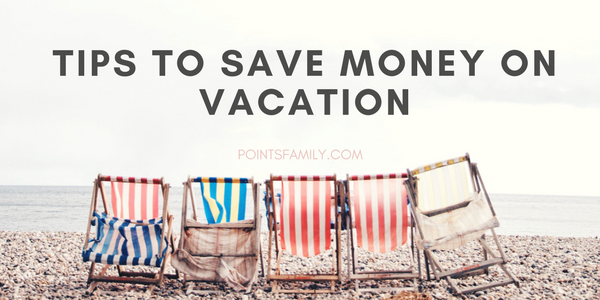 We definitely splurged on certain aspects but this trip would have been twice as expensive if not for the tips I used to save money on vacation. Use Hotel Points. In past jobs I used to do quite a bit of business travel. I don’t stay in hotels nearly as often these days but it still pays to sign up for the hotel rewards programs. I saved over $500 by paying with points rather than cash. Bring Food. We stayed in a small hotel room (without a kitchen) so I didn’t bring as much food as I normally would but I made sure to bring what I could. Instead of stopping at a rest area I packed lunches for us all on the car ride down. For breakfast we had fresh fruit, oatmeal (hot water from the in room coffee maker), and cinnamon rolls. For snacks I brought rice cakes, pretzels, fruit cups, and applesauce. Even though this doesn’t count as food I made sure to bring our reusable water bottles. These were small enough to stick in my purse and kept us from buying many overpriced drinks. Research Restaurants. If you are staying in a tourist area the opportunities to overspend on mediocre meals are endless. I knew we would be eating out and wanted to make sure our money was well spent. I did look at deal sites before we went but didn’t find anything that worked for us. By looking at online reviews though I did manage to find some great gems that I would never have gone to if I hadn’t known about them before we left. By looking at menu prices and reviews at home I could make better decisions then I’d be apt to make walking down the street trying to find the first place to feed the kids. Do Free Activities. Most cities have loads of free activities. You can look at the city’s newspapers or websites for ideas. While in New York we played in Central Park, walked through Times Square and took the Staten Island Ferry for a great view of the Statue of Liberty all for free. Check your memberships for Reciprocal Benefits. This actually didn’t work out for us on this trip (though has been a huge money saver in the past). Always check memberships you have for museums, zoos, etc. to see if they have reciprocal benefits at other participating museums. Sometimes it is even worth it to upgrade your current membership to get these benefits (an upgrade can be less than the cost of admission to the place you are visiting). Don’t Buy Expensive Souvenirs. It seemed everywhere we went there were opportunities to buy souvenirs. I didn’t want to have a bunch of overpriced trinkets. I find taking pictures to be a much more rewarding thing than a strange snow globe that will likely be sold for pennies at next year’s yard sale. We did spend $1 for 10 postcards which we mailed to various people. That was a fun and frugal way to share our experience. Explore Tips for Buying Souvenirs and How to Find Them For Free for more ideas. Set Expectations. I made sure the kids knew what to expect before we left. I told them we would be eating breakfast in the hotel but get to eat dinner at a restaurant. I told them what activities we would be doing. It helps if everyone knows ahead of time that we’ll be bringing our own snacks (just like at home) than to explain it to them in front of the snack truck they find in the park. Plan Ahead. The biggest thing that saved us money was planning ahead. Though this was a short trip I did a lot of research before we left. I asked friends for recommendations of things to do. I figured out exactly how we would be getting from point A to point B. I had enough back-up plans if things didn’t go as planned. I had a deck of cards for our impromptu game in central park. We didn’t exactly follow the schedule I had mapped out but I would have been surprised if we did. Planning ahead not only relieved some the stress of figuring things out in a different city but saved us some serious money. Excellent tips Robin! I love the idea to give the kids a visa gift card for their spending money.